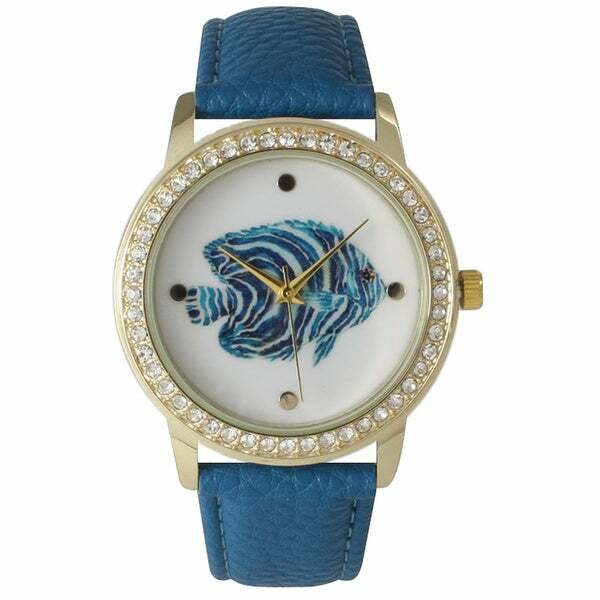 This chic Women's Leather Glamour Fish Watch from Olivia Pratt is a stylish accessory to almost any outfit. This watch features a genuine leather strap accenting a beautiful stainless steel case and a colorful fish watch face print and rhinestone accented bezel. Very nice looking watch. Very good quality of Cristal - not easy to scratch. I dropped them on the carpet floor and it stopped to work. But it was just the battery! I like Olivia Pratt watches..can pick with favorite characters and color!